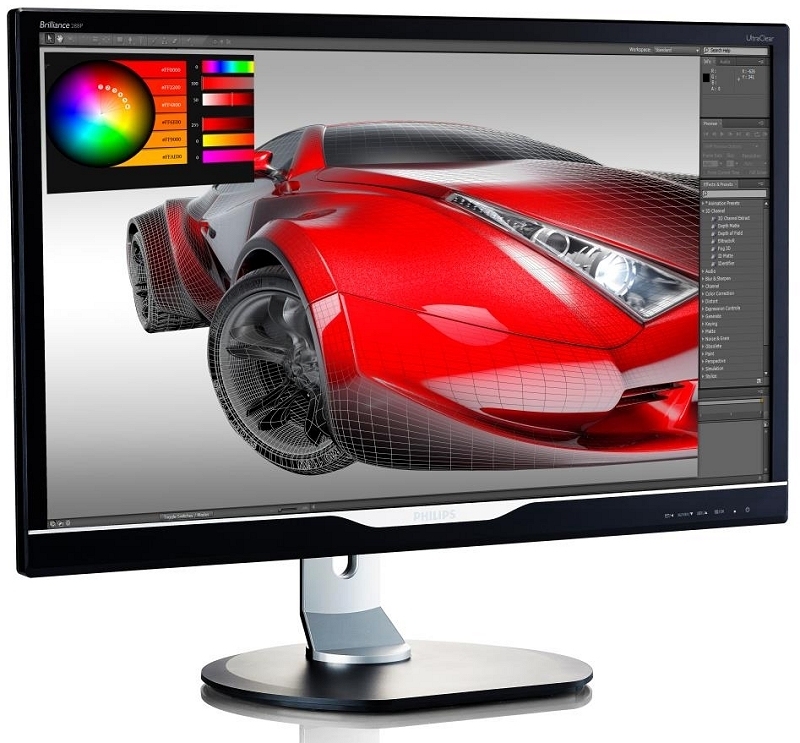 Earlier this year at CES, Philips announced a couple of new monitors, one being a 28-inch 4K LED backlit display. It seemed respectable enough on paper but its $1,200 MSRP certainly kept it from being a bang-for-your-buck buy. Fast-forward to present day and that's all changed. Philips issued a press release letting us know that the 288P6LJEB is now available for purchase. Best yet, it's being offered over on Amazon at a "special" price of just $599 with free shipping. Now you've got our attention. The monitor's specifications claim it provides a resolution of 3,840 x 2,160 @ 60hz with a 1ms response time. Furthermore, it offers 1.07 billion colors, a 300 cd/m² brightness rating and a 1000:1 contrast ratio. Connectivity options include two USB 2.0 ports, two USB 3.0 ports, VGA, Dual Link DVI, DisplayPort 1.2 and MHL-HDMI. Philips is also quick to point out its MultiView technology which allows you to connect two computers to the display and use them both simultaneously side-by-side. I can certainly envision scenarios in which this functionality would come in handy. Amazon's product page actually shows the display was first available on May 30 so it would seem that Philips is a bit late with their press release. With only four customer reviews of the screen posted to Amazon thus far, it's tough to get an idea of whether or not this is a solid buy. Two reviewers gave it a five star rating while the other two issued a one star rating, citing issues with DisplayPort 1.2.